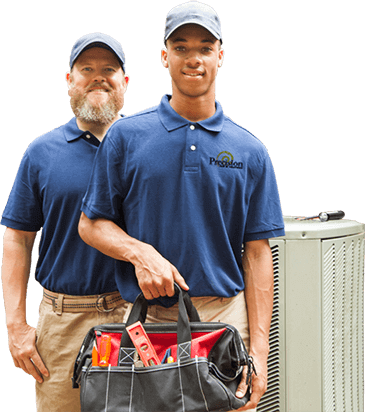 HVAC is the best job in Arizona, and Precision Air & Heating is the Valley’s leading provider. Come join the winning team! Working for the industry leader has many advantages; year-round work, new fleet vehicles, a modern facility with state of the art technology and equipment, great pay and a whole host of employee benefits. What makes Precision a great place to work? We are committed to hiring the best of the best. Our employees make Precision Air & Heating the #1 Air Conditioning, Heating company in the Valley. At Precision we foster a culture of excellence. We aim to help every employee achieve their full potential so they can master their position and advance to the next. We take pride in having the best employees in the industry. To keep our leading edge, we have developed an industry leading training program which is constantly evolving. Precision offers a comprehensive benefits package which includes 401k, medical, dental, vision, paid sick days, holidays, and vacation pay along with a generous bonus program. We have a continuing need for the positions listed above. Occasionally we have openings in other areas of the organization as well. If you would like to apply for a position that is not listed, we invite you to do so, and we’ll be happy to keep your application or resume on file.